This is an excellent book, and it's hard to review without giving spoilers. It's a story about how crafty people can lead a double life by playing others for fools. But, even more, it's a story about how truly crafty people can actually fool themselves about the double life they are already living. 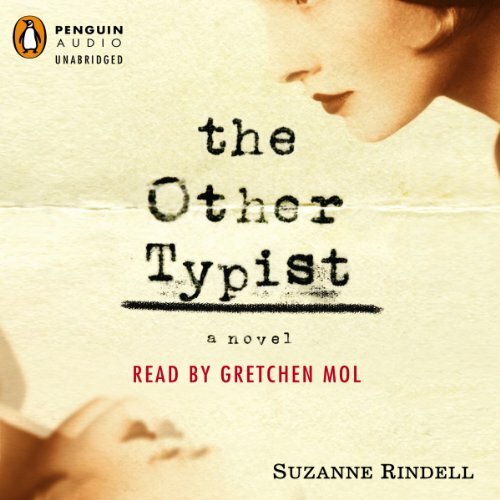 Gretchen Moll adds something special to the narration, not just because she's good at giving personality to the different characters, male and female (and she is). The TV characters she plays in Life on Mars and Boardwalk Empire inform her reading here, but her performance is different enough to keep things interesting. In short, it's a great book, well-narrated. I highly recommend it, especially for book clubs, where readers will have a lot to discuss afterwards! 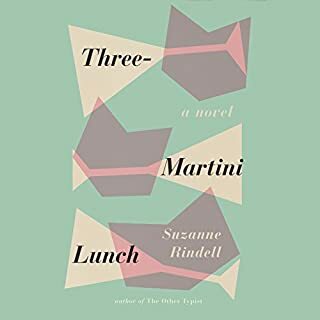 Fix a Martini & Enjoy! Rose Baker is a typist in a New York police station during the Prohibition era. She's alone in the world and starved for human connection. When the beautiful Odalie befriends her, Rose begins to experience the life she craves, but disapproves of. Lots of great plot twists keep the action moving. I won't spoil the end, except to say that the ambiguous conclusion is surprisingly satisfying. 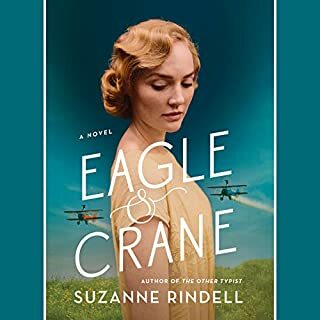 I'll be interested to see what Rindell comes up with for her next novel. I really enjoyed this one ! 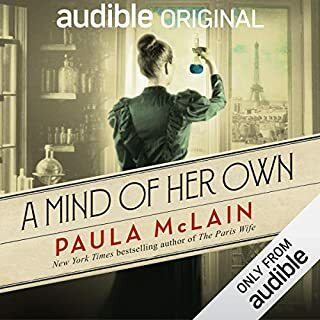 I loved the Gatsbyesque setting and the fascinating first-person narrator. And I especially LOVED the ending ! Soooo unusual. Excellent reading by Gretchen Mol. Her almost emotionless dictation suits the character. 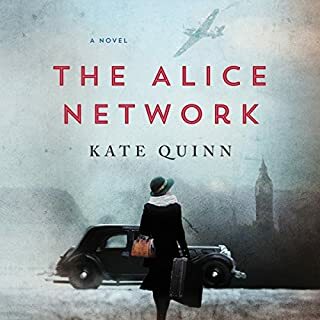 This Other Typist provides an interesting enough background of the 1920s era (complete with prohibition, the mood of the times, and great settings) but for me the actual story was contrived and hard to believe. Plus the naivete of the protagonist was ridiculous to the extreme. I won't repeat what others have already written with respect to the theme and agree that, up front, the less you know about it the better. Probably my biggest complaint is with the narrator. Admittedly there are many run-on sentences within the text, but that alone isn't always a bad thing. However, the narrator lacked helpful pauses and read with so little inflection that even i felt out of breath by the time the full stop presented itself. In my opinion it's probably best to forego the audio version of this book and maybe read it instead. What did you love best about The Other Typist? The setting and the on the edge of your seat-because you THINK you know what is coming up, writing. What other book might you compare The Other Typist to and why? The Great Gatsby or the old detective dramas of the 60's. I would mention others but it would mess up the ending. What does Gretchen Mol bring to the story that you wouldn’t experience if you just read the book? If you could take any character from The Other Typist out to dinner, who would it be and why? I wouldn't trust any of them. Maybe Rose just to interrogate he. Some may not like or get the ending of this book, but you will be talking about and debating it for days after you are finished. Then, you will listen to it again. Bring on the movie is all I can say. Interesting tale about 1920's Prohibition Era NYC. The story centers around two young women who work as typists in a police precinct. This was really intriguing novel that grabs your attention right from the start. Difficult to review since the book really should be read completely "blind" as the author intended. If you are planning on reading this one, do yourself a favor and don't read any reviews, etc. beyond what is written on the inside book jacket. It took a while for me to really get into this story, but once it had sucked me in I was completely entranced. 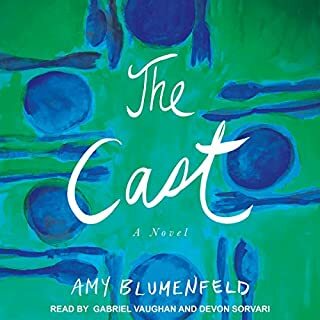 The narrator was excellent and her voice was perfect for the characters and time period. 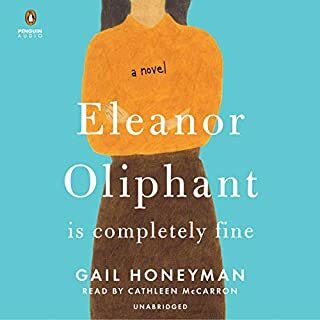 This is an evocative, fast-moving book about two women, one innocent and starry-eyed, the other hard-bitten and amoral, and the relationship they develop. We are drawn into Odalie's net with Rose, and learn about her as Rose does. Rose, however, doesn't guess whom she is dealing with until it is too late for her. I imagine that she just didn't want to face facts, and neither did I.
Gretchen Mol is a terrific reader. I'll look for more books she narrates.